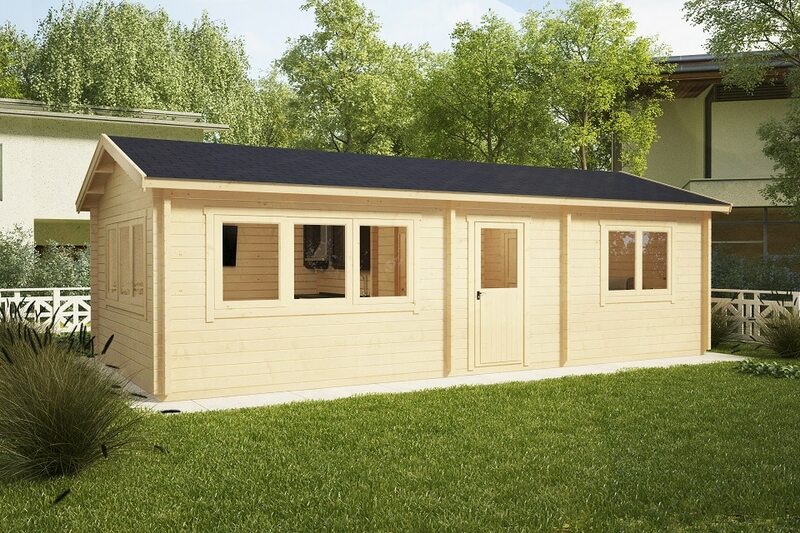 The Hansa Holiday H is one of our most attractive one-bedroom log cabins for use as a holiday home, extra living space to your existing home, office or a dream guest house for visiting friends. 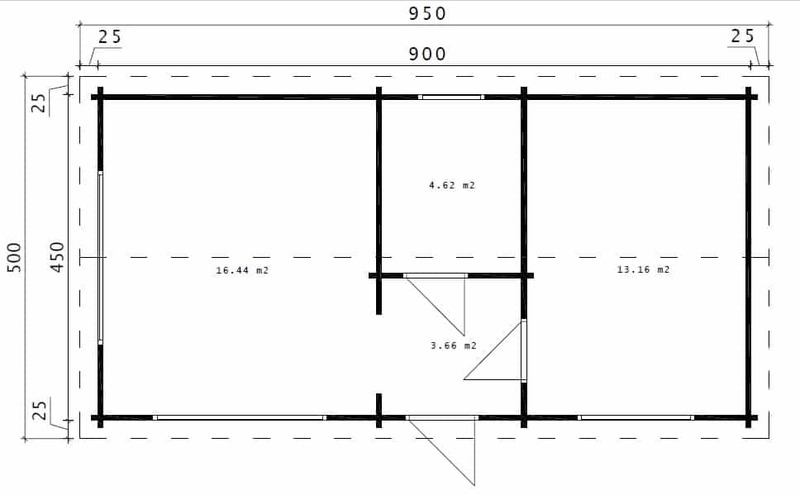 It has a 4x3m bedroom, where you can easily install a large closet and have a working desk in addition to a double bed, very spacious washing room for bath, toilet, sink and washing machine! This cabin also has a generous 4x4m room for cooking, dining and living area too. 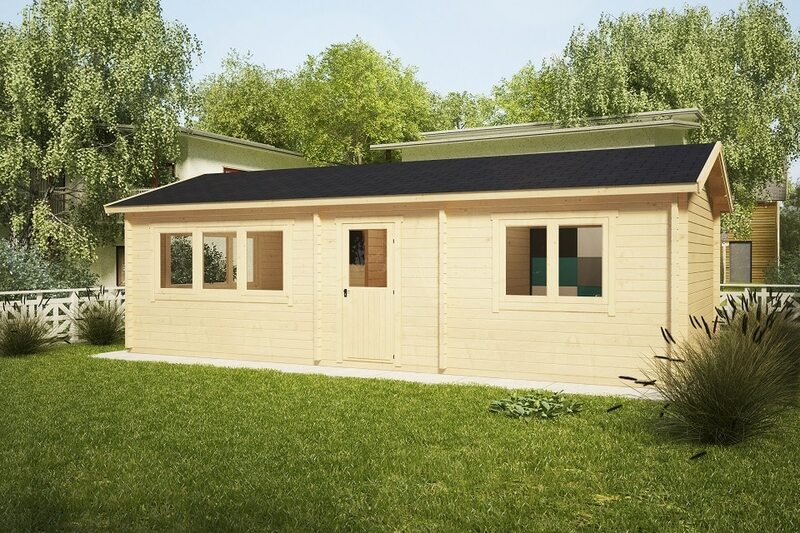 Massive 70mm walls, 28mm floor boards, double glazed doors and windows as well as metal storm braces inserted throughout the entire wall in four corners are all included in the cabin set. 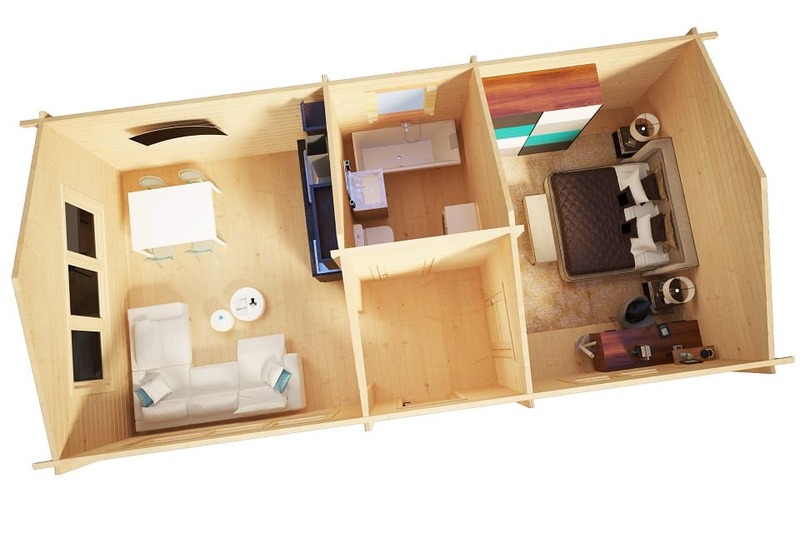 Our installation team can build this cabin within three days. Number of windows: 1 window 1,5 x 1,14 m, 2 x window 2,3 x 1,14 m, 1 window 0,8 x 1,14 m. All opening. Additional information: Treated foundation joists, wind braces, assembly kit, real glass in windows and doors, cylinder lock, product manual, 5 years guarantee. Cat: Large Guest Houses.